We started Reality Curve Theatre because we wanted to bring modern, edgy and relevant professional theatre to Vancouver – the kind of productions that unpack the times that we live in, start conversations, challenge and excite. We also wanted to make sure that as many Vancouverites as possible could come and experience this kind of theatre, by both producing material that would appeal to a broader scope of the city then just traditional theatre goers, and by ensuring that a night out at a play doesn’t cost as much as your monthly cell phone bill. This season we think we’re truly living up to those goals. 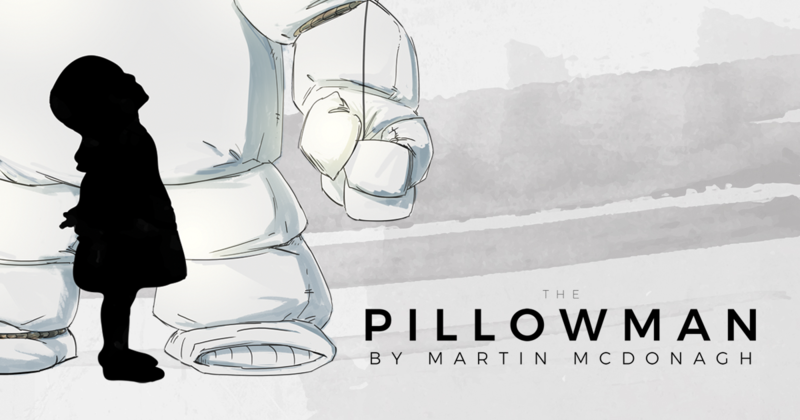 First up this season is our production of The Pillowman by Martin McDonagh, which runs at The Annex from September 27th to October 6th. McDonagh, the genius writer behind films like In Bruges and Seven Psychopaths, and plays including A Behanding in Spokane and The Cripple of Inishmann, has crafted an award winning, blindingly bright dark comedy. Made all the more relevant by the totalitarian impulses of America’s 45th President, The Pillowman is about damaged people, government censorship and the very nature and purpose of art. Our production is directed by Stuart Aikins and stars Bob Frazer, Anthony Ingram, Paul Anthony, Paul Piaskowski and Izabel Pearce, with illustrations by Edward Chee, and set design by Christopher David Gauthier. Tickets are on sale now! Reborning is the process of manufacturing a doll to resemble a human infant with as much realism as possible. Reborning by Zayd Dohrn is as creepy as that sounds, but also undeniably powerful, and at it’s core is about how people deal with loss, and attempt to reconcile their pasts. Reborning will be helmed by Lori Triolo, who is stepping into the directors chair for this production after her incredibly powerful and Jessie nominated performance in our production of Bug by Tracy Letts last season. Reborning will open at The Annex June 21st 2018 and run until June 30th 2018. Stay tuned for more info on this one, it’s going to be a doozy! Our commitment to creating theatre that’s affordable is at the core of our company, it’s one of main mandates, and this season is no exception. We’re thrilled to announce that as of Season 2017-18 all of the seats for our preview shows will be only $5! That’s basically the price of a really nice coffee. We’re also excited to reveal that we’re switching to an assigned seating system, that will allow us to sell tickets to every show starting at only $10! That’s basically the price of a really nice coffee for you and a friend. Our hope is that with this pricing model, more people will get to experience theatre, and we’ll have had our hand in helping to create a new generation of theatre goers. For Vancouver’s acting community, more fantastic workshops are on the way. Where possible, we try bring artists in from outside of Vancouver and outside of Canada, to share their knowledge and experience with our community of actors, because we believe that outside perspective is invaluable. 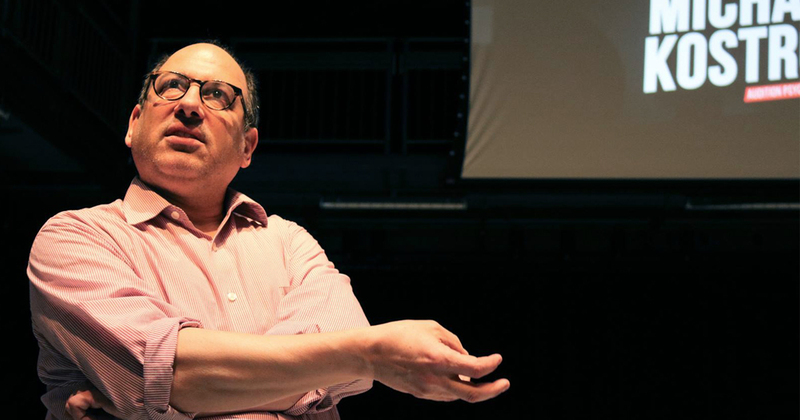 In that vain we are thrilled to announce that Michael Kostroff will once again be taking the red-eye from N.Y.C this season with his Audition Psych seminar, a class that sold out a 140 seat theatre last season. 100% of the proceeds from all of our workshops go directly to funding our productions, and our hope is that we can help strengthen Vancouver’s talent pool, a pool we ourselves draw from. If what we’re doing strikes a cord with you, and you want to support us, the easiest way is to buy a ticket to one of our productions, and tell you friends to do the same. If you want to get a little more handsy (we don’t mind at all), you can also donate some money. And if you work for, or know someone at, an organization that might be a good fit to come aboard as a sponsor, let us know, where always on the lookout for these elusive unicorns. Speaking of said unicorns, a huge thank you to our sponsors this season, Vancouver Civic Theatres, the City of Vancouver and the Daily Hive. This season would not be possible without their support. It’s going to be a huge year, we hope you take the ride with us.